It’s been a while since I posted about my current comic book projects, so I thought a quick update would be appropriate. Maysam Barza is still hard at work on the art on Flux, a 4 issue mini series I am co-writing by Pete Rogers. 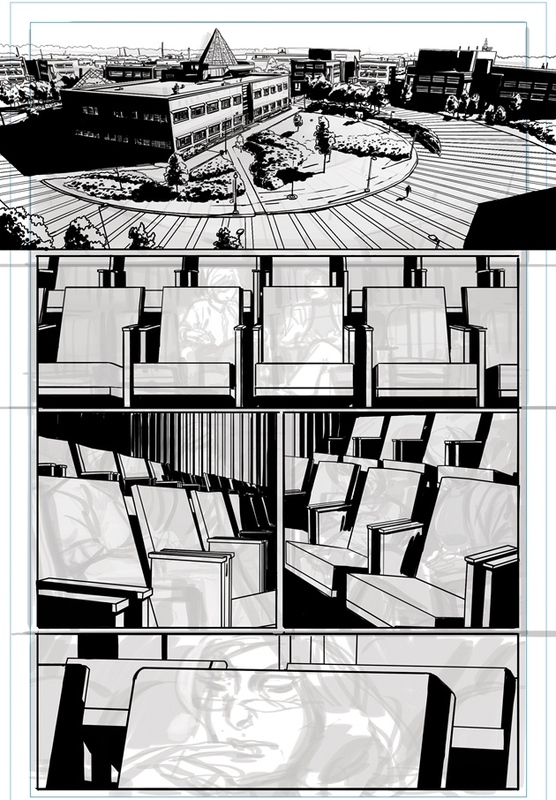 Below is a page that is currently in progress, and you can see how Maysam builds it up in layers. Absolutely fantastic stuff. Wonderful attention to detail. I’m also co-writing a fast paced thriller mini series, again with Pete. We are working with a wonderful artist called Simone Guglielmin​i whose work I first saw on Near Death from Image comics, written by Jay Faerber. 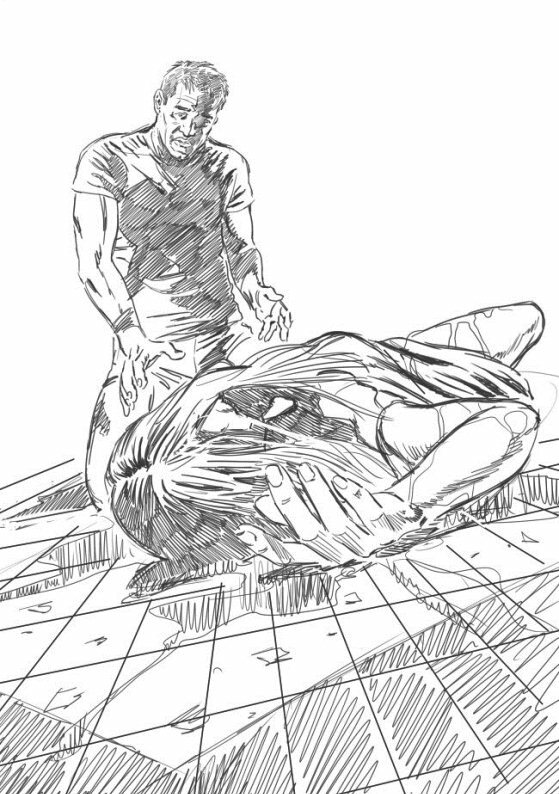 Below is a rough sketch for a dramatic moment in issue 1 of our comic. Even rough we were both very impressed by Simone’s ability to capture the mood so well. I’m really excited to see what he comes up with next. There are a couple of other comic book projects in the works, but nothing to show yet. More info when I have it. Here’s what I’ve been up to with my writing partner Steve Aryan.